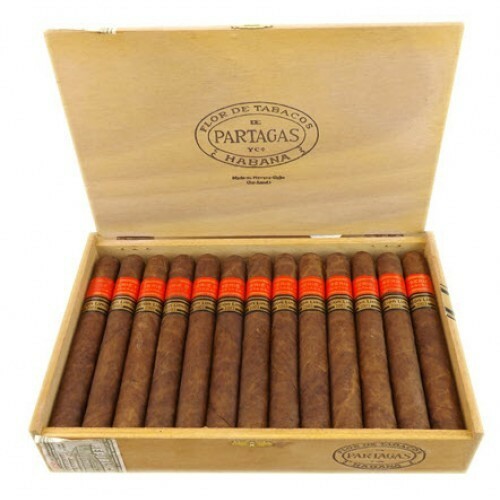 The cigar has a smooth, silky sheen to it, no veins mar the touch. It cuts with ease and has no specific distinguishing pre-light taste, other than a freshness akin to cigar leaf which is still aging. The cigar just feels good! It lights quickly, evenly, and provides plenty of smoke from the first puff to the last one. The draw is easy, burns evenly, and smokes slowly. The ash is a deep dark gray, fully consumed, allowing all the flavors to come forth. This cigar is not to be taken lightly. It is full bodied, yet not too strong for the occasional smoker. It certainly provides enough pleasure for the connoisseur. The tastes vary from slightly vegetal to woodsy and old leather. Although the wrapper is Maduro, there is no hint of sweetness, to my surprise. 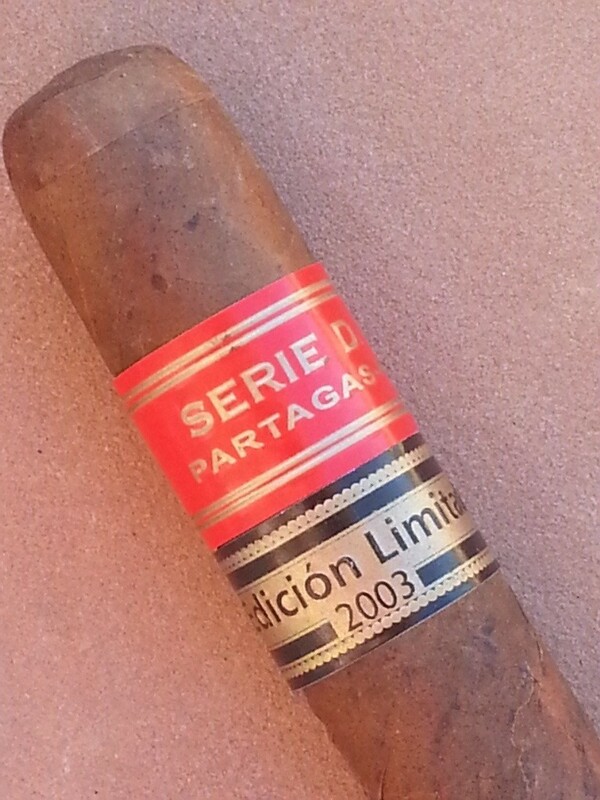 There is more ligero in this blend than in any other Partagas, closer to a well aged Cazadores, than anything else. 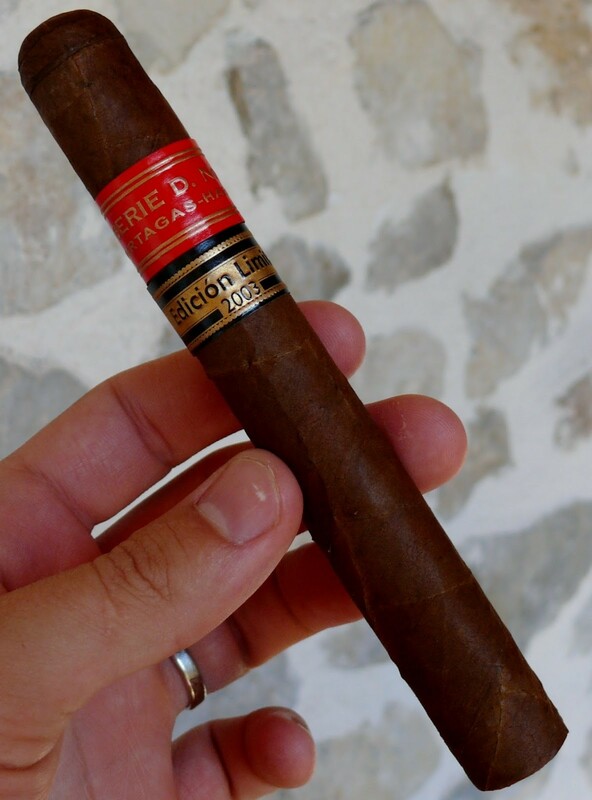 If I had to describe the cigar in one word, it would be “comfortable.” This vitola is a great alternative to other afternoon cigars, allowing you to linger over your espresso.